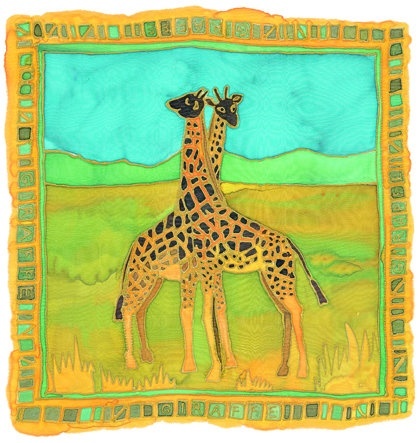 The vibrant image is taken from a silk painting by artist Penny Silverthorne. The card is blank inside for your own message and can be used for many occasions. The envelope is included. A folded greetings card size 133 x 133 mm (5" x 5") printed on a smooth board.